An Alternate Sanskrit Heart Sutra. 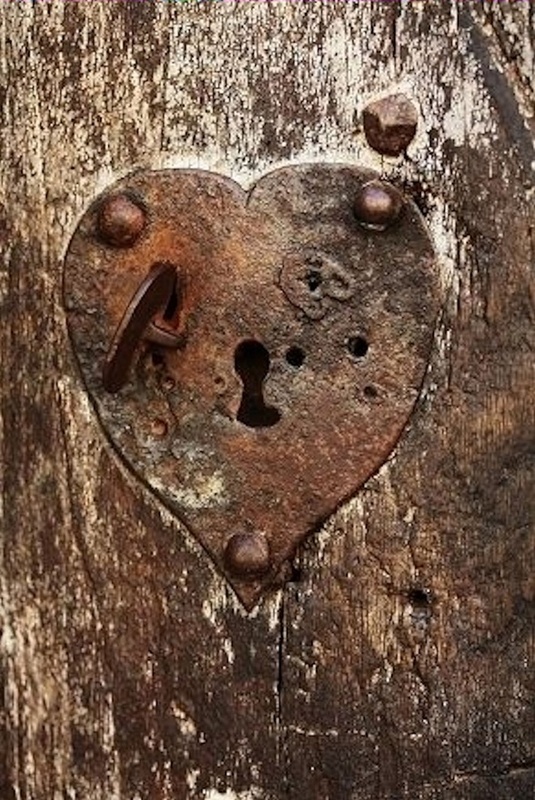 Two weeks ago I proposed an imaginative story of how the Heart came about. The purpose of the version of the Heart Sutra I am presenting below is the result of a further thought experiment. Imagine, now, that our monk, though still Chinese, had access to the Sanskrit versions of the texts he was drawing on, and a little more familiarity with Sanskrit idiom. 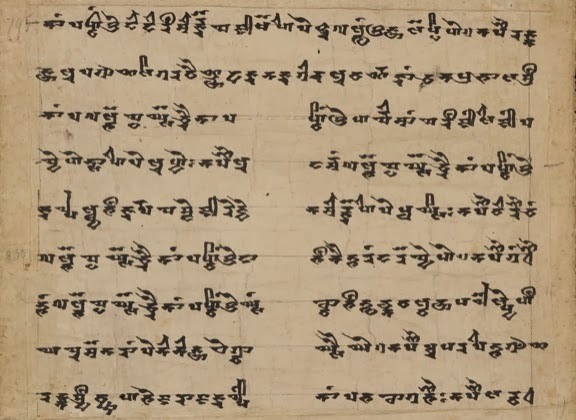 We have a manuscript of the Pañcaviṃśati Prajñāpāramitā Sūtra dated to the 6th century from Gilgit which is likely to be similar to the one Kumarajīva used to create his Chinese version. It is published in facsimile, though in a script I cannot read. Fortunately, there are partial transcriptions in the Gretil archive which cover the parts used in the core of the Heart Sutra. This Gilgit manuscript will form our model for sections 2-4 below. In addition, I have included all the other improvements suggested to date to produce a totally new version of the Heart Sutra. On some level this is the Heart Sutra as it might have been had it been composed in Sanskrit using the idiom of the large Perfection of Wisdom texts. And even if you don't know Sanskrit you will be able to compare the paragraphs and see how different they are. This difference evaporates in Chinese where the Heart Sutra is nearly identical to Kumārajīva's Large Wisdom Sutra. And this is the basis of Jan Nattier's claim that the Sanskrit Heart Sutra was not extracted from any extant Sanskrit Large Perfection of Wisdom Sutra, but from the Chinese. As before I've used full stops for the end of sentences and upper-case letters for the first words in sentences, but otherwise tried to keep punctuation and hyphenation to a minimum. 1. Āryāvalokiteśvaro bodhisattvo gambhīrāṃ prajñāpāramitācaryāṃ caramāṇo vyavalokayati sma panca skandhāṃs tāṃś ca svabhāvaśūnyān paśyati sma. 2. Na hi śāriputra anyad rūpam anyā śunyatā. Nānya śunyatānyad rūpaṃ. Rūpam eva śunyatā śunytaiva rūpaṃ. Evam eva vedanā saṃjñā saṃskāra vijñānaṃ. 3. Iha śāriputra sarvadharmāḥ śūnyatālakṣaṇā. Yā śūnyatā notpadyate na nirudhyate na saṃkliśyate na vyavadāyate na hīyate na vardhate. 5. Tasmāc chāriputra aprāptitvād bodhisattvasya prajñāpāramitām āśritya viharaty acittāvaraṇaḥ. Cittāvaraṇanāstitvād atrastro viparyāsātikrānto nirvāṇaparyavasānam. Atītānāgatapratyutpannās sarvabuddhāḥ prajñāpāramitām āśritya anuttarāṃ samyak-sambodhim abhisambuddhāḥ. Tasmāj jñātavyam prajñāpāramitā mahāvidyā anuttaravidyā asamasamavidyā. Sarvaduḥkha-praśamanaḥ samyaktvāmithyātvāt. Title: word sūtra is not included because it is not found in most of the mss. or canonical versions. The text is not a sūtra, though that title could be claimed by the longer text. Instead, the genre of the text is hṛdaya 'gist or essence'. Maṅgala: the maṅgala favoured by Conze, ༄ oṃ namo bhagavatyai āryaprajñāpāramitāyai, is found in the long texts and in Nepalese mss., but is not found in the short text or the Japanese mss. which have this shorter, more common maṅgala. There is no oṃ in the maṅgala because this was an anachronism for the time. Probably oṃ was originally a mis-reading of the yimgo in any case. None of the Chinese canonical versions include a maṅgala. Sarvajñā 'omniscience' is a constant topic of discourse in the Prajñāpāramitā texts. 1. Corrected according to my observation of an error in Conze's text. Specifically, vyavalokyati sma is a transitive verb and has pañca sakandhān as its object. In other words, Avalokiteśvara was examining the five branches of experience when he saw no svabhāva in any of them. This is consistent with Chinese versions. On the translation "five branches of experience" see Pañca-skandha: Etymology and Dynamics. My formal write up of this material, including a detailed comparison of Sanskrit mss. and Chinese and Tibetan canonical versions has been submitted to a journal for review. 2. The meaning here is the same, but the extract is taken from the Pañcaviṃśati(Gilgit ms. Folio 21v) rather than the Chinese translation. In the Pañcaviṃśati, Śāriputra is, in fact, being addressed by the Buddha, though in the Gilgit ms. he is called Śāradvatīputra : evam ukte bhagavān āyuṣmantaṃ śāradvatīputram etad avocat 'That said, the Bhagavan said to Elder Śāradvatīputra.' The two parts of the passage are inverted nānya rūpam... followed by rūpameva śūnyatā... in the Heart Sūtra, this order is reversed. 3. Though sarvadharmāḥ śūnyatālakṣaṇā is not included in Pañcaviṃśati, it is in all versions of the Heart Sutra, including the Chinese. The jury is out on how to split this compound: śūnyatā-lakṣaṇā 'marked with emptiness' or śūnyatā-alakṣaṇā 'emptiness and unmarked'. My preference is for the former because it is more consistent with Prajñāpāramitā, generally. The rest of this passage amended according to Pañcaviṃśati (Gilgit ms. Folio 21v). There are two main differences. Firstly, the subject is different: Yā śūnyatā notpadyate 'that which is emptiness does not arise'. In the standard version it is dharmas that don't arise, and here it is whatever is emptiness. Note that it seems as though śūnyatā is being used as concrete rather than an abstract noun here. So 'emptiness' as a translation is awkward here. This is something which needs to be looked at more closely. The second difference is that the past participles have become present tense finite verbs: an-uptannāḥ 'unarising' becomes notpadyate (i.e., na utpadyate) 'it does not arise'. The latter is a feature that makes more sense with a Chinese intermediary between synonymous but formally difference Sanskrit phrases. Both the Chinese Heart Sutra and Large Wisdom text have 不生 bù shēng. The Dutt/Kimura editions of the Pañcavimśati both have: śūnyatā śāriputra notpadyate. 4. Amended by including na before all negated list items where all Heart Sutra mss. omit it. This is more idiomatic Sanskrit. This idiom is found in Pañcaviṃśati (Gilgit ms. Folio 21v). No extant Pañcavimśati includes na jñānaṃ. It's possible that nābhisamaya was first translated as 無智 wú zhì and then back-translated as na jñāna. Though this would also require switching the order of na prāpti and nābhisamaya. 5. Niṣṭhānirvāṇa is replaced with nirvāṇaparyavasānam on the basis of studying Kumārajīva's translation of the Saddharmapuṇḍarīkasūtra via the glossary produced by Seishi Karashima in comparison with the Sanskrit edition by Vaidya. Tryadhva-vyavasthitāḥ does not occur in Pañcaviṃśati. In the same place it has atītānāgatapratyutpannā 'past, future and present' (which means exactly the same), though this is not attested in any Heart Sutra ms. This passage now incorporates praises to prajñāpāramitā as vidyā, replacing the word mantra with vidyā as per Sanskrit Aṣṭa and Pañcaviṃśati, thereby correcting a paraphrase that was confusing. Satyam amithyatvāt replaced by samyaktvāmithyātvāt and (thus) into grammatical relationship with sarvaduḥkhapraśamanaḥ. It's possible that there is one long sentence from tasmaj to samyaktvāmithyātvāt. 6. The word "mantra" replaced with dhāraṇī to reflect the nature of the item. Now a standalone chant with a bare introduction as the epithets clearly apply to the previous paragraph, not this one. On the dhāraṇī and my use of amen to translate svāhā see The Heart Sutra Mantra. 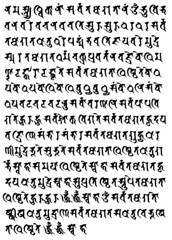 Colophon: see comments in A New Sanskrit Heart Sutra. 1. 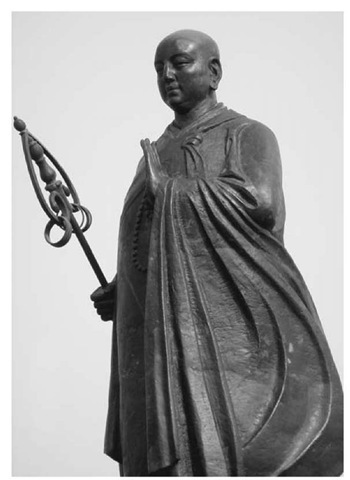 Noble Avalokiteśvara bodhisattva was practising the deep practice of the perfection of wisdom. He examined the five branches of experience and saw they lacked intrinsic existence. 2. Śāriputra, form is not one thing and emptiness another. Emptiness is not one thing and form another. Form is just emptiness. Emptiness is just form. Sensations, names, intentions, and discriminations are the same. 3. Here Śāriputra, all experiences are marked with emptiness. Emptiness does not arise, does not cease, is not soiled, is not purified, does not decrease, and does not increase. 4. Therefore, Śāriputra, with respect to emptiness there is no form, no sensations, no names, no intentions, and no discrimination. No eye, no ear, no nose, no tongue, no body, no mind. No form, no sound, no smell, no taste, no touchable, no mental objects. No eye element, and so on, to no mind-discrimination element. No ignorance, no cutting off of ignorance, up to no old-age & death and no cutting off of old-age & death. There is no disappointment, no cause, no cessation, and no path. No attaining. No realisation. 5. Therefore, Śāriputra, because of their state of non-attaining, the bodhisattva, relying on perfection of wisdom, dwells with unobstructed mind. And because they have an unobstructed mind, they are unafraid, overcome perverse views, and culminate in nirvāṇa. Having relied on the perfection of wisdom, all the Buddhas of the three times are fully and perfectly awakened. Therefore, the perfection of wisdom should be known as a great spell, an unsurpassed spell, a peerless spell. Because it is true and not false, it allays all suffering. 6. A perfection of wisdom chant is: Gone. Gone. Gone over. Gone over to the other side. Awake. Amen.